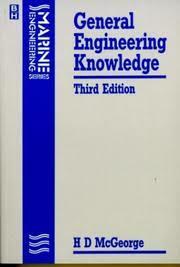 This third edition of General Engineering Knowiadge has been expanded and updated to cover changes in the examination questions and legislation intro- duced since the previous edition. The chapter on pollution prevention now ncludes scctions on disposal of chemicals and garbage, in addition to notcs on of pollution by o the Clean Air Act and disposa of sewage A new prevention prod uction of water ow-pressure evaporaturs and reverse osanusis chapter on to make the water pocable and on problems with contains nutes on treatment bacteria Noise, another form of pollution, is also associated w th vibration and there is er dealing with both topics. The section on vibration covars its use as now a chap a means of monitoring the condition machinery Additions havc bcen made to various chapters and rcfcrences wherc approp- riate for further reading. Knowledge is of two kinds we know a subject ourselves, or we know where we can find information upon it.